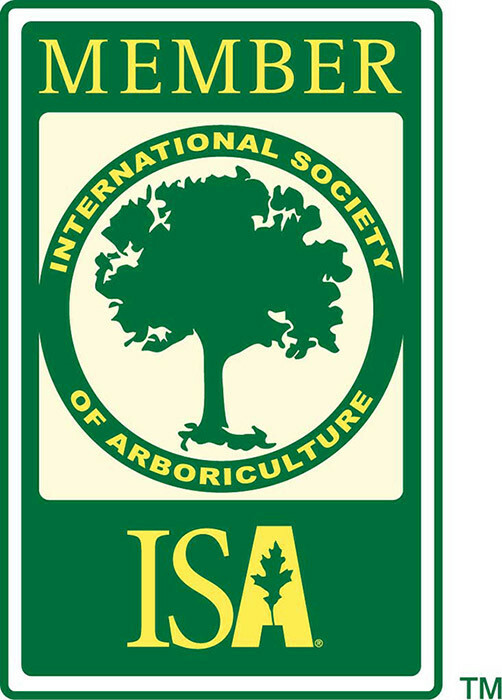 A pro-active plant health care strategy is the best approach for your valuable trees. The key to an effective and economical plant health care plan is that your needs be assessed properly. We can survey all the elements of your landscape and identify pests, diseases, or deficiencies that may be present and create a customized plan to suit both your needs and your budget. We may recommend any one of our other services, or combination of services to bring your landscape into a state of balance. 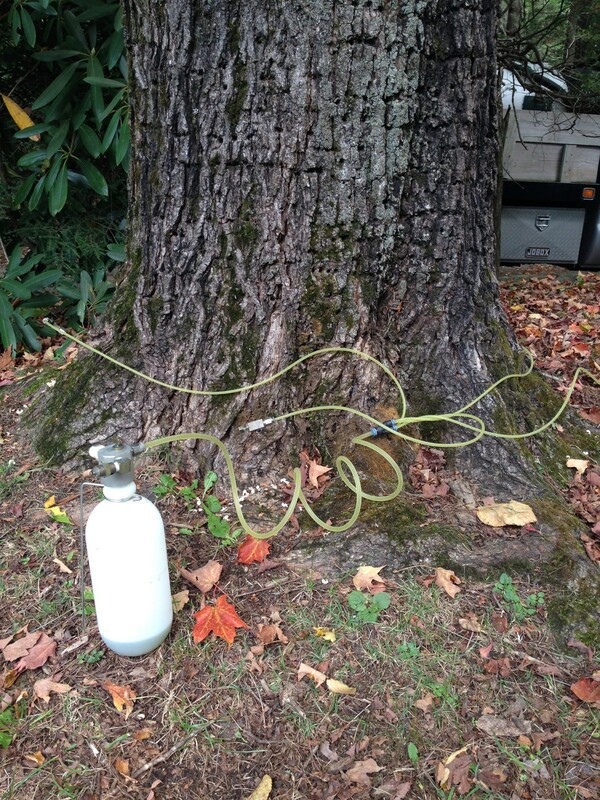 Appalachian Tree Care is proud to have been the first Certified Arborist in the Southeast to use this revolutionary device to treat hemlock trees for the devastating pest, the Hemlock Woolly Adelgid (see other section on the HWA). This system places a precise dosage of pesticide directly into the sap of the tree, where it is systemically carried throughout the tree. This tool is effective at delivering a range of specialized treatments from fertilizers, to fungicides, and pesticides. Oftentimes, when a specific or persistent pest is present, a direct application of a non-toxic spray is the best remedy. Foliar spraying of liquid fertilizer, compost tea, plant wash, and other solutions are other forms of spraying we often suggest for the whole garden and landscape. We use state-of-the-art sprayers which allow us to spray very thoroughly, and accurately, maximizing the effectiveness, and efficiency of the treatment. Pest issues are often the result of imbalances in the soil. We offer an organic fertilizer program which is unmatched in Western North Carolina. Rather than drench your precious lawn, flowers, landscape, or garden with chemicals, let us design a custom organic fertilization program to keep the trees and shrubs in your landscape healthy and vigorous. Pest Species Affected Organic defense? Hemlock Woolly Adelgid hemlock YES! Sudden Oak Death oak, maple, rhododendron YES! Emerald Ash Borer ash YES! Bronze Birch Borer birch YES! Southern Pine Beetle pine YES! 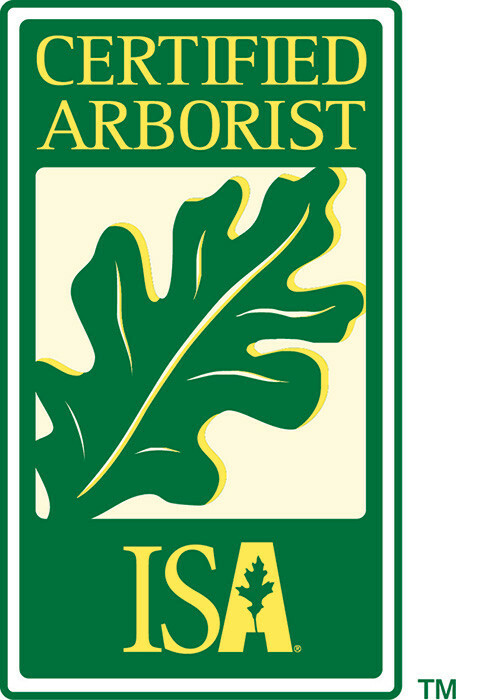 Anthracnose oak, maple, dogwood YES! Call today for a free assessment 828-733-1968. You can also use our Online Request Form.